Minibar likes to call itself "The Cockroaches of Rock." "We have weathered major labels, indie labels, line-up changes," said front man Simon Petty. "We've survived it all over the 12-year history of this band, eight of it as this current line-up." The band re-located from London to Los Angeles seven years ago, seeking the alt-country audiences that were flocking to see Wilco and Neil Young. "At the time, Brit-pop was still going and everything in London was self-consciously British," Petty said. Consequently, the band found itself on the edge of an industry revolution as major labels try to come to terms with the digital age. "The old way the industry works was on its way out," Petty said. "You sign a band and blow a fortune on making a record hoping that it coughs up a hit single. 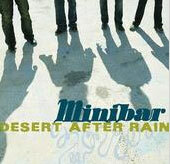 "But that doesn't work anymore," much to Minibar's chagrin at first, he said, but eventually to its advantage. The band's American debut, "Road Movies" on Universal Records, failed to catch the attention of commercial radio despite a quality production by T. Bone Burnett. By the third and most recent set, "Desert After Rain," the band is fully independent and doing well, thank you very much. "For one week's budget of our debut, we outfitted an entire studio so that we can now record ourselves," Petty said. "Distribution has changed, but it's been very good for us. MySpace helps a lot." Petty credits the band's relationship with singer/songwriter Pete Yorn as a contributing factor to its endurance. "We met him at Molly Malone's, a little bar in L.A., when we were both making our first records," he said. "We were kindred spirits: English blokes who listened to a lot of American music and an American bloke who grew up on '80s British music." In 2002, they toured together and eventually began to play behind Yorn as his back-up band. WHAT: Pete Yorn and Minibar. WHERE: Madison Theatre, 730 Madison, Covington, Ky. WHEN: 8 p.m. Tuesday, March 6, 2007. MORE INFO: (859) 491-2444; madisontheatreonline.com.